As reported in The Daily Telegraph, the Harry Potter publisher Bloomsbury has bought The National Archives’s entire backlist of publications. 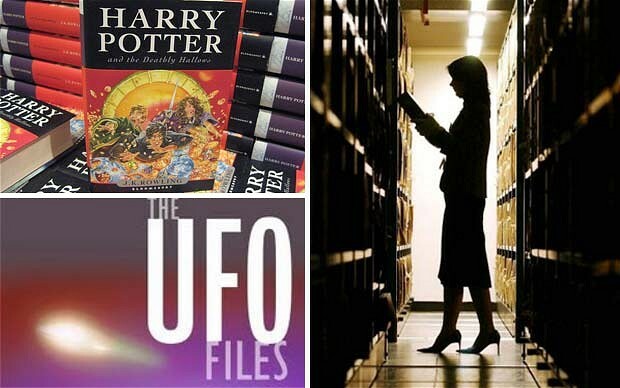 The deal includes my 2009 book The UFO Files and other best-sellers such as Genealogists’ Internet by Peter Christian. It has also agreed a five-year venture aimed at better utilising TNA’s unique resources and will publish a range of new titles based upon the archive holdings. Licensing manager at The National Archives, Laura Simpson, said: “This joint venture marks a new direction in The National Archives’ approach to publishing. By seeking innovative opportunities to tap into our vast collection of historic resource material we can interest and enthrall a wider audience than ever before. “Bloomsbury brings significant expertise in both trade and academic publishing and we look forward to working together to uncover mysteries and reveal untold tales from the archives”. The deal was also reported in The Bookseller, the industry’s trade journal. I’m looking forward to working with Bloomsbury which has a great track record in publishing non-fiction titles such as the excellent The Suspicions of Mr Whicher (or the Murder at Road Hill House, by Kate Summerscale (2008), recently the subject of a TV adaptation. This entry was posted in Uncategorized and tagged Bloomsbury, Harry Potter, Kate Summerscale, Road Hill House murder, The National Archives, The Suspicions of Mr Whicher. Bookmark the permalink.